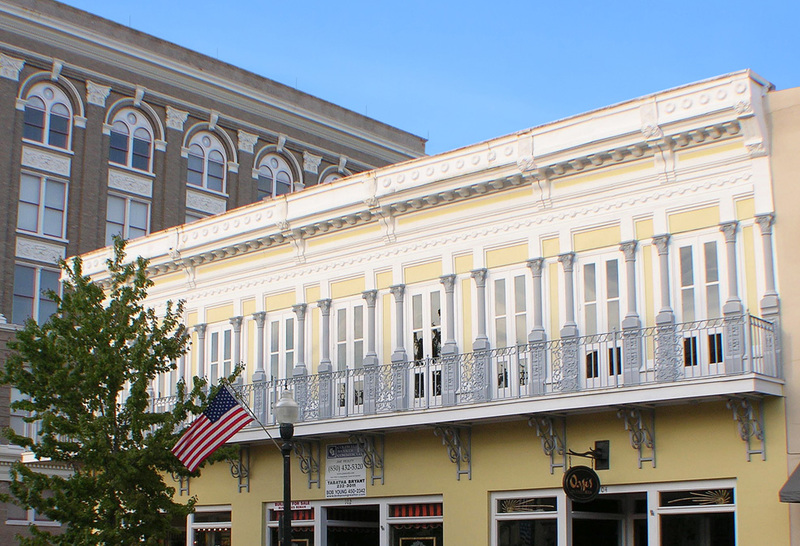 We were pleased to have the opportunity to work on one of Pensacola’s architecturally significant and historic buildings. This 115 year old brick building features a beautiful decorative metal cornice and wrought-iron balcony railings. 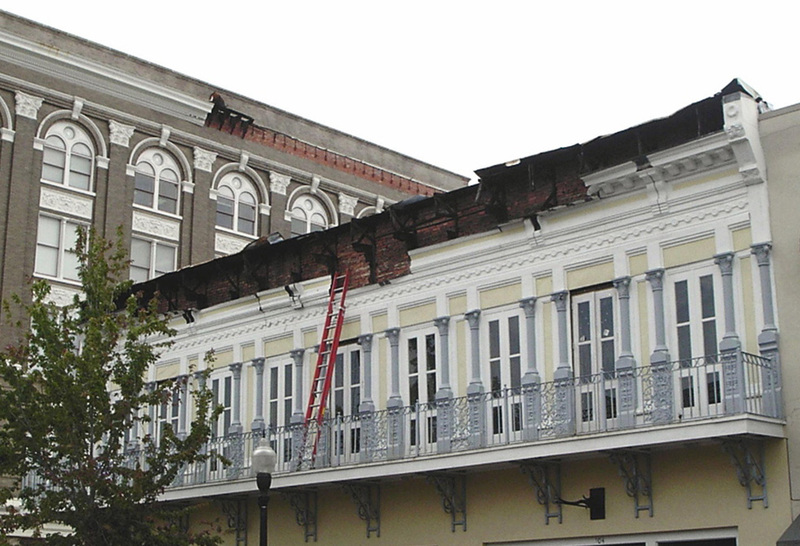 This restoration project was just one of three our team completed after several significant buildings were damaged by Hurricane Ivan. For this project, Heather & Little was given the task of replacing portions of the torn sheet metal façade, repairing the metal cornice, and restoring decorative elements using sheet zinc for some of the more intricate pressed metal elements and galvanized steel sheet metal. One of our representatives flew down to Pensacola to assess the damages and at that time each sample section of the cornice was chosen to be crated and shipped to our facility to be reproduced. 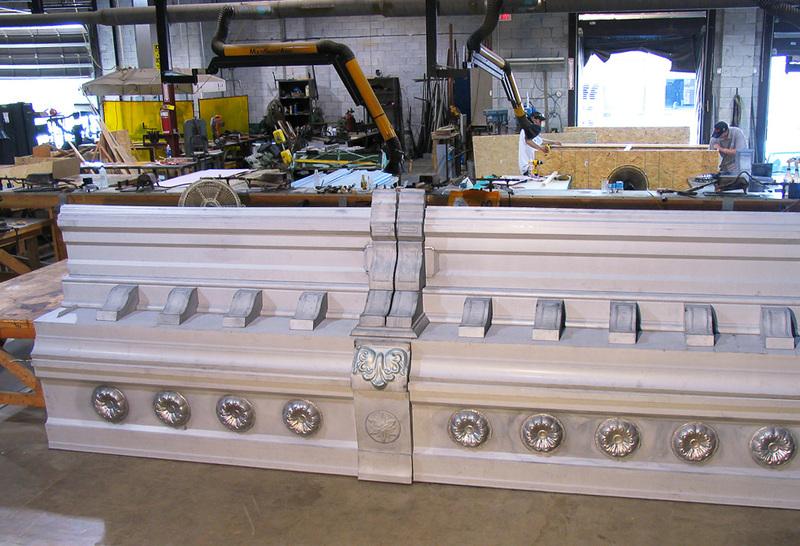 Our craftsmen used a combination of traditional and modern sheet metal fabrication techniques to replicate the original cornice, stamped sheet metal modillions, decorative sheet metal brackets, sheet metal capitols, and pressed decorative rosettes. The building has undergoing several renovations and restorations; presently it consists of retail shops. 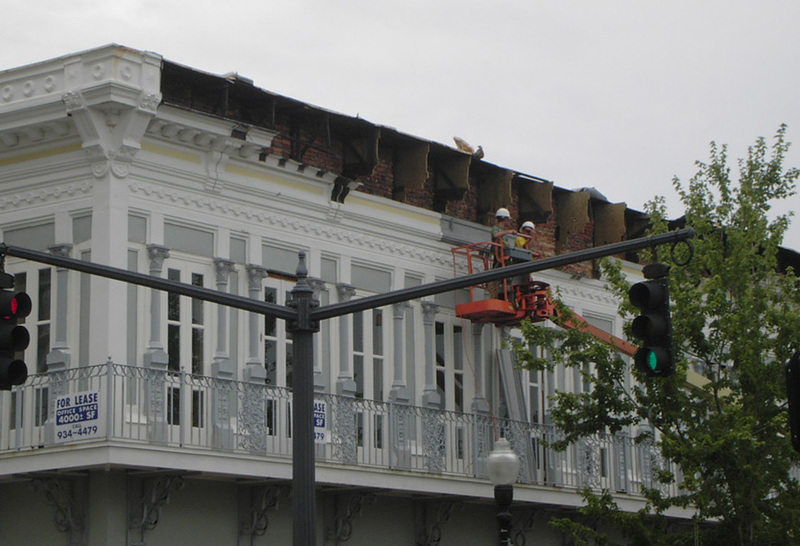 For further information about this metal cornice restoration project, browse the photos below, or reach out to a member of the Heather & Little team today.